Nail polish can be sticky & messy business. Nothing annoys me than pulling out my favorite shade for an afternoon mani only to find the bottle lid stuck and the consistency goopy. It only gets worse when the color starts chipping off just hours after I’ve finished my manicure! Like other cosmetics, lacquer requires a specific method to store for maximum benefits. After seaching the internet & from personal experience, I came up with 4 tips on Storing, Application and Maintaining your Nail Polish. • Don’t use nail polish remover to thin your polish instead use thinner drops. Many removers contain acetone that can break down the formula of your lacquer and actually ruin it. Nail polish thinner is specially formulated to restore your thickened polish back to its original consistency. Use 2-3 drops and roll the bottle between your hands – your polish will be like new. • Don’t store polish in the bathroom instead store in a cool dry place. Most nail polishes have a suggested shelf life of two years which can be extended or shortened by how you store your polishes. Bathrooms are a no-no when it comes to storage – they tend to be bright and the temperature is constantly changing due to shower use. 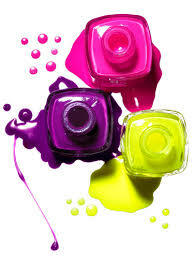 • Don’t apply lotion or wash your hands right before applying nail lacquer. Our nails are porous, so washing your hands adds moisture back into your nails and causes chipping or bubbling once polish is applied. Similarly, lotion leaves a residue on your nail beds, producing a film that also can bubble your lacquer. Ever have your polish peel off in one big chunk? That’s from water or residue on the nail. Make sure to also doublecheck your nailbeds to make sure they are clean. Rub a cotton ball soaked in nail polish remover over them before applying your base coat. • Don’t skip the nail prep/use a base coat. Don’t you just hate when you get those bluish or yellowed tips leftover from your previous manicure when you’re rocking natural nails? Solution is to use a base coat which will provide a smooth case for your nail color, as well as protect and nourish your nail beds. And don’t forget to finish off with a topcoat to make your mani last! Were any of these tips helpful? Do you know any extra ways to care for nail polishes? Let me know in your comment below, i’ld love to read from you. Thanks for sharing. Now I know why my polish sometimes comes off as a whole.. Thank you so much for sharing. We need to reminded often.